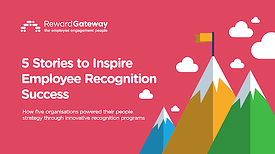 In this eBook, discover how other companies are using peer-to-peer recognition programs to help achieve their employee engagement goals. When you get good at recognising those who do their job well or go above and beyond their role, employees benefit in many ways. Consistent recognition helps create the environment for more engagement because people are getting what they crave. Feel more respected "I was really working hard on that project really wanted to demonstrate our 'Own It' value, despite the challenges that I encountered. I'm really proud that my efforts were evident to others and that they see the impact of what I do." Can more clearly see the purpose and importance of their work "I was surprised to get recognised for how I handled that customer interaction. I didn't realise the customer was so connected in the community. It means a lot to see how my actions might have a real impact on how someone talks about our company and how I’m contributing towards our mission!" Build better relationships with others "It felt great that Steve noticed the extra effort I gave in that meeting. I don't work with him a lot, but I will keep an eye out for more opportunities to help his team." Yet, the impact of recognition is much bigger than on just the individual. Think about skipping a stone across a pond… each time the rock touches the water a series of tiny waves ripple away from the impact point. When you recognise someone for doing their job well, the same thing happens. The initial impact (on the person you recognise) spreads as the others in your organisation read about the recognition. 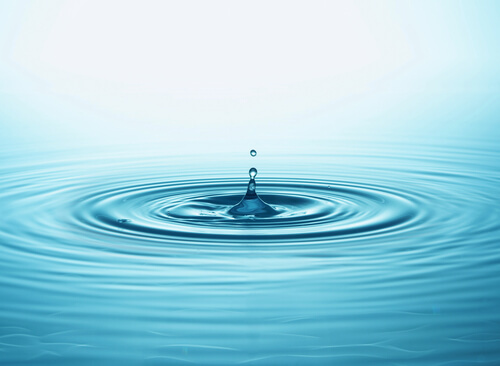 That ripple spreads even more when your team starts to build the actions into their day-to-day work, which can have a real impact on your team’s (or company’s) goals and objectives. Or, if you want to think about the ripple effect in another way, think about spreading positivity or gratitude. People who feel recognised and appreciated are more likely to recognise the good work of others. This is just a fact of human nature (what social scientists call “positive reciprocity”). Recognition makes you feel good, both when you get recognised as well as when you acknowledge someone else. As more people get on board with making recognition a habit – a part of your work culture (the “way we do things around here”) – the ripple effect spreads throughout the organisation. Have a better understanding of other groups. "I learned from a recognition post that IT is really busy right now. I need help, but I know another resource who can probably get me what I need and is likely to turn the request around more quickly." Better understand the direction of the business and how they contribute. 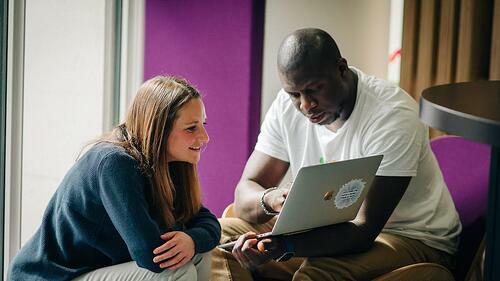 "I know we are focused on Delighting our Customer as part of our Mission to Make the World a Better Place to work. I saw how Jane was recognised for how she stepped up to support a customer experiencing challenges and take her through every step of the resolution. I could see how Jane was living our values and supporting our mission and it inspired me to think about how I could do the same." Get better at their job/role. "I just read a post about Alyssa who is doing a great job using our new scheduling system. I'm a little confused by it and concerned I'll use it wrong. I'll go ask Alyssa a quick question to save myself time." Feel inspired by the actions of their team/colleagues. "Wow! I love reading stories about how our Client Success Team partner with our clients. They are really creative and committed to helping people." These outcomes also have an effect on your company as a whole. 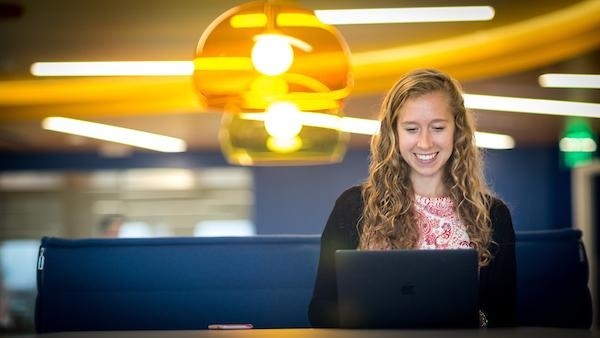 Increased engagement and productivity: The more employees feel the benefits above, the more likely they are to give their best efforts to support the company, creating an environment for improving employee engagement. This leads to improvements in countless areas, for example, faster problem-solving, fewer mistakes, more innovation, less stress and improved well-being to name a few. Reductions in unwanted turnover: When top performers feel that their work is appreciated, ,and they have greater visibility for their contribution, they are less likely to look elsewhere for a job. As recognition becomes an integral part of your employee engagement efforts, you’ll see more and more people who are willing to stay even if offered a similar job elsewhere. Increased focus on the most important goals: When the whole team (and leaders) are talking about and acknowledging actions that made an impact by writing a strategic recognition message, employees are reminded about the goals that the company is focused on. These reminders do a lot to drive the results that are most important to the company. The right kind of employee reward and recognition program can make a big impact on your overall employee engagement and culture initiatives. So ask yourself, what kind of ripples are your moments of recognition creating?